Five men who allegedly participated in the murdered of seven police officers about five days ago in the FCT, Abuja, have been arrested. It was learnt that a crack investigation team is also on the trail of other fleeing accomplices. The Force Public Relations Officer, Acting DCP Jimoh Moshood, explained that investigations were ongoing to apprehend other suspects involved in the brutal killing of the riot policemen. 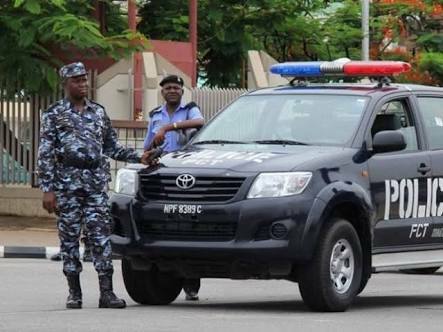 The men, who were on special duty in the Federal Capital Territory, were shot dead on Monday night at Galadimawa Roundabout, Abuja, and their weapons stolen by the suspects. The slain personnel were part of a riot Police unit drawn from the Police Mobile Unit 2, Lagos and Benin City. Giving an update of the investigation on Friday, Moshood said the Inspector-General of Police, Ibrahim Idris, had ordered that the allowances of the victims be paid to their families. He added that the IG also directed that the deceased be given befitting burials. The team is also mandated to recommend strategies to prevent attack of such nature in the future.